The cornerstone of this sqadia.com medical video lecture is the elaboration of bipolar affective disorders. 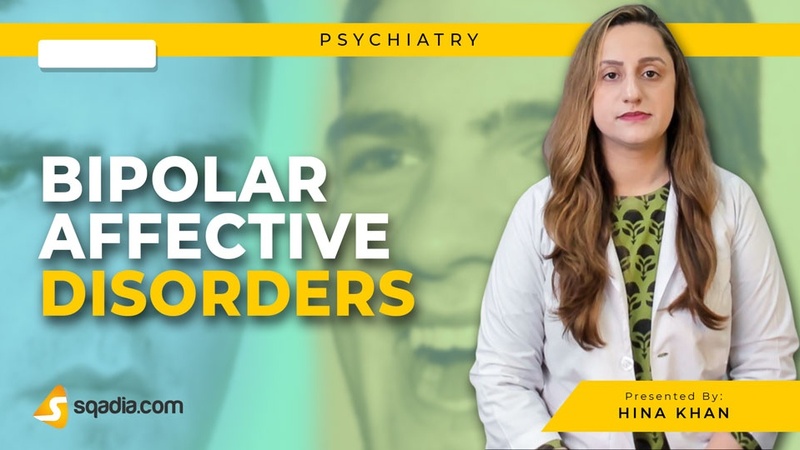 Symptoms, diagnosis, and treatment of bipolar disorder is explained. 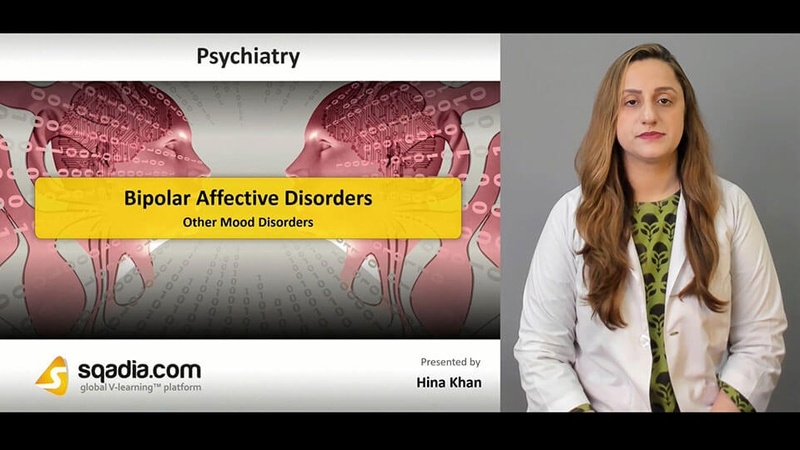 Other mood disorders such as seasonal affective disorder, childbirth and affective disorders, and premenstrual depression are also delineated in this lecture. Dr. Hina Khan initiates this lecture by first giving the medical definition of bipolar affective disorders. After that history and prevalence is discussed. Historically, it is linked with melancholia. Genetic predisposition and abnormal brain function are the associations of bipolar affective disorders. Clinical features of mania are elated mood, increased energy, excessive optimism. Hypomania is associated with mild elevation of mood and there are no psychotic symptoms. Moving onward, clinical features of mixed affective states are highlighted. Neuropsychological dysfunction has difficulties with memory and executive function. Among the course and outcome, factors associated with poorer outcomes are poorer social support systems, low socio-economic status, alcohol/drug misuse. 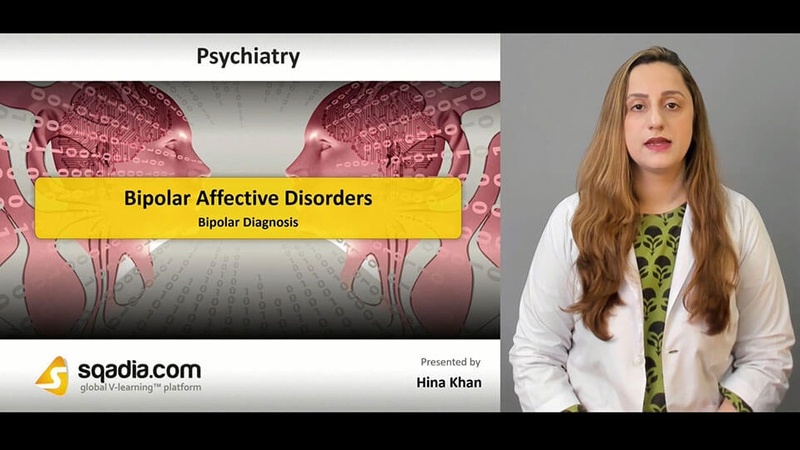 Then educator talks about establishing the pattern for assessment of unipolar or bipolar disorder. Differential diagnoses in adults involve diagnosis of schizophrenia, schizoaffective disorder, and substance misuse. Manic episodes can be treated according to the severity of the condition. In acute mania patients can be easily stimulated. In situation of hypomania mood stabilizer alone can be used if it is less acute. For depressive episodes, antidepressants are less effective. Additionally, prophylactic medication is highlighted. Psychological/psychosocial therapy is also considered. Some of the mood disorders discussed in this section include seasonal affective disorder, childbirth and affective disorders, and premenstrual depression. Maternity blues or post-partum blues and postnatal depression is discussed alongside. Typical symptoms of premenstrual depression follow low mood, anxiety, anger, lethargy.